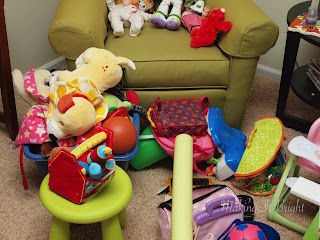 Imagine it piled in a giant basket in the corner instead of in front of the chair. The basket was a good short-term solution but as Goose got bigger and pulled out her own toys, she needed something that was easier to access. I am in love. Now all the bins need are some Goose-friendly labels. I think this is a solution that will grow with Goose. We can add more shelves in the tracks for books, and trade out the larger bins for small ones for art and craft storage as she gets older. 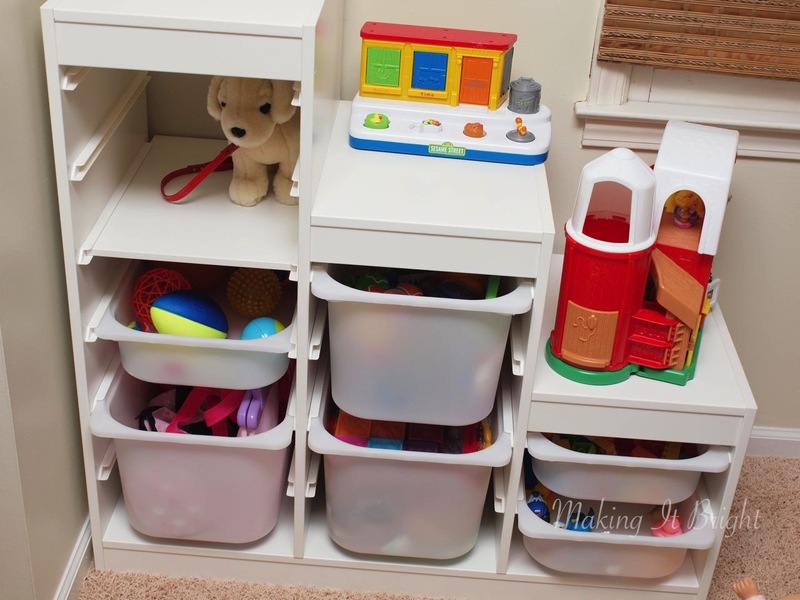 If you think a similar solution will work for your home, check out the Trofast toy storage series from IKEA. IKEA isn't paying me for this post, though I wouldn't mind if they did.